February 21, 2018, (Cohoes, NY) The brand new state-of-the art Aqua Planet waterpark in the Clark Freeport Zone, Pampanga, Philippines, designed and developed by Aquatic Development Group (ADG), has opened to the public this February 2018. 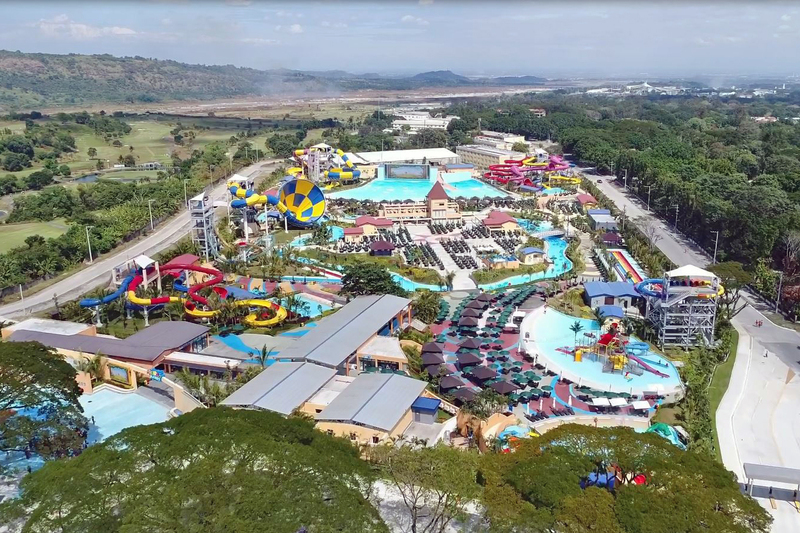 The waterpark sits on 10-hectares and is home to 38 water slides and attractions deeming the property the most modern waterpark in all of the Philippines. The Aqua Planet waterpark is open through the end of May and has a capacity of 3,500 guests. The park was designed to incorporate the local culture, and the feeling of an indigenous forest throughout its theming. The waterpark is home to many attractions that are tailored to guests of all ages. Some of these featured waterpark attractions include a kiddie wave pool, a 412-meter wave river, a 3,500 square meter wave pool that generates 8 types of gigantic waves situated in front of a 600-inch LED TV, multiple slide towers and a FlowRider surf simulator. ADG supplied all the required wave generation, filtration equipment, pumps, surf simulator and design for these featured waterpark attractions. In addition to the multitude of attractions, Aqua Planet also offers 8 designated dine and shop areas, several cabana and private deck rental options and over 3,000 table and chair options with umbrellas on a first come first served basis.